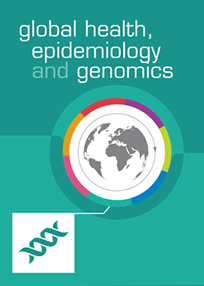 2016 promises to be an exciting year for Global Health, Epidemiology & Genomics (GHEG) as the journal is officially launched. We have been delighted by the response to GHEG and the number and range of articles that have been submitted for publication to date. These papers reflect the interdisciplinary and global remit of the journal and its aim to provide a single platform in which research and expertise from the distinct but interrelated fields of genomics, population science, health systems and technologies can be shared. Following an expeditious but rigorous peer-review process, the first of these articles will be published on-line in the coming weeks and months. We will also be publishing regular themed collections that will be led by guest editors. These will offer a forum for exploring in greater depth and detail, subjects of relevance and interest to the global health community. In 2016 our four themed collections will focus on the following topics – Women in Global Health, Longitudinal Population-Based studies, Indigenous populations, and the H3Africa network and genomics in Africa. Details of the first two calls for papers can be found at http://journals.cambridge.org/gheg/collections. We will announce calls for submissions to the other collections shortly so please check our website, sign up for our e-alerts and follow us on twitter (CambUP_gheg) for regular updates. Please do get in touch if there are subjects you would like us to feature in future themed collections. Our dedicated website will continue as a source of information about the journal and a forum through which we can facilitate discussion, share ideas and raise awareness across the global health network through our regular blog posts. Combined with our active presence on social media we aspire to reach a large and diverse audience of those directly involved in global health, epidemiology and genomics, and also those with an interest in the work we do. If you would like to contribute a blog post or make suggestions about the topics we should address please get in touch with our editorial office at gheg@cambridge.org. We hope you will find GHEG to be a source of high quality, varied, thought provoking and stimulating research – let us know what you think.